History Of BOOing Take Me Out to the Ball Game Thumbs Up Thumbs Down ? The combination of booing and applause help keep the quality of public performance high, by emotionally rewarding the good and punishing the bad. Booing is the act of showing displeasure for someone or something, generally an entertainer, athlete or politician. by loudly yelling "boo" (holding the "oo" sound) or making other noises of disparagement, such as animal noises, usually the sound of a donkey. The sound is often accompanied with one or two hands giving the thumbs down sign. If spectators particularly dislike the performance they may also accompany booing by throwing objects onstage, though the objects aren't usually meant to physically hurt the performer. Booing performers has a very long history, The first written record comes from ancient Greece. At the annual Festival of Dionysia in Athens, playwrights competed to determine whose tragedy was the best. Dionysus is commonly thought to have been the son of Zeus, the most powerful of all Greek gods and goddesses, and Semele, a mortal woman. 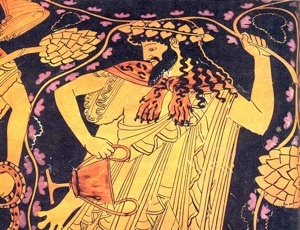 He was the god of the grape harvest, winemaking and wine, of ritual madness and ecstasy in Greek mythology. Four times a year, the Athenians and citizens from all over Greece would gather together to worship Dionysus. The largest and most prolific of these festivals was the City Dionysia, or Great Dionysia, which was held in late March through early April. Here, the Greeks would sing and dance and revel in a state of madness in worship of the god. 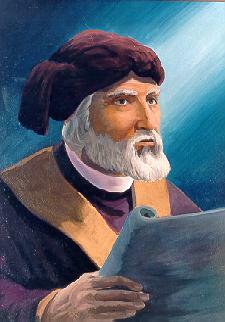 Goats were sacrificed in his honor. Men would dress up as satyrs. Large amounts of wine would be consumed. 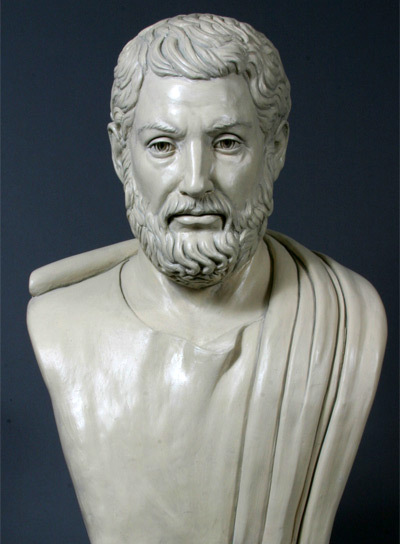 When the democratic reformer Cleisthenes came to power in the sixth century B.C., audience participation came to be regarded as a civic duty. The audience applauded to show its approval and shouted and whistled to show displeasure. Gladiatorial games (munera) were introduced to Rome in 264 BC, when the sons of Junius Brutus honored their father by matching three pairs of gladiators. In 65 BC, Julius Caesar commemorated his father, who had died twenty years before, with a display of 320 pairs of gladiators in silvered armor. Most matches employed a senior referee (summa rudis). Audience participation often determined whether a competitor lived or died. 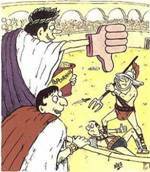 The crowd decided by booing or cheering the wounded gladiator by yelling 'missum' or 'mitte' (release or send away) as a gesture of mercy and conversely yelling 'iugula' (to kill). However the final decision in this was not made by popular crowd appeal and was usually left to a single judge or editor. "Next taunts or mutual abuse without any warrant of hate, and applause, unsupported by affection....The perversity of it! They love whom they lower; they despise whom they approve; the art they glorify, the artist they disgrace" a quote from De Spectaculis by Tertullian of Carthageiwritten somewhere between 197-202 describing the gladiator games and the morality of them. While people have expressed displeasure publicly since ancient times, the English word boo was first used in the early 19th century to describe the lowing sound that cattle make. Later in the 1800s, the word came to be used to describe the disapproving cry of crowds. Hoot, another onomatopoeic English word, was used as early as 1225 to describe the same phenomenon. (Ancient Greek and Latin both contain words resembling boo that mean "to cry or shout aloud," though there is no known etymological connection to the modern English word.). The BOOing and crowd behavior in some instances extended to hissing, groaning, hooting and pelting with objects, often rotten vegetables or fruit but sometimes stones as well. Since the beginning of organized sports BOOing has been part of the behavior of fans. Entertainment events also are where BOOing has been an acceptable form of audience response to a poor performance. This practice has in recent times come under criticism. The opinion is often expressed that to boo a bad performance is unkind and demonstrates a lack of sophistication. However, the counterargument goes that the combination of booing and applause help keep the quality of public performance high, by emotionally rewarding the good and punishing the bad. The term “The Boo Birds” has become a part of every sports fans vocabulary. The term “The Boo Birds” appears and is used in newspapers and every form of media every day. The term “The Boo Birds” and the behavior associated with it makes an appearance at every event on every level every day. Fans BOO to vent frustration and disappointment...it makes them feel better. Fans can vent their frustrations at games , events, players, entertainers and politicians in a public forum -they can't do this anywhere else in everyday life-if they acted out at work or home in the same manner there would be serious consequences. 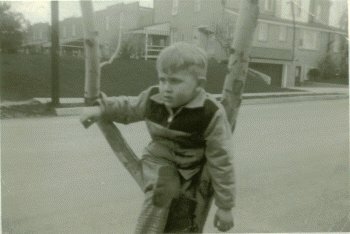 "Another Stuck In A Tree Production"